The GT Lures YFR3 Yellowfin Rocket 3oz trolling lure is designed for use in front of a trolled ballyhoo. 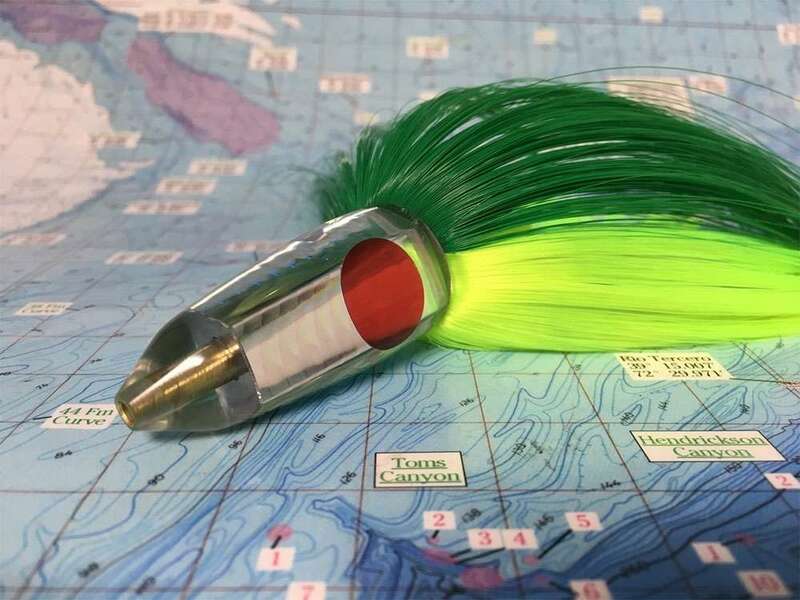 The Yellowfin Rocket features a keel weight, back of the head comes pre-drilled for the ballyhoo�s beak, and premium hair to add some more color to your hoo. Best used along with a medium sized ballyhoo, the GT Lures Yellowfin Rocket will help you and your crew take down dolphin, yellowfin tuna, bluefin tuna, bigeye tuna, and even wahoo if you get lucky. EH they are OK types of lures. good for trolling mahi and kingfish by me, but constructed well.